Iceland in the winter is a feast for the photographer. The sun stays so low that Iceland is bathed in a beautiful golden light throughout the day. It is the golden hour all day! The Strokkur Geysir is pretty spectacular. You can see from the figures at the bottom how high it is spurting. 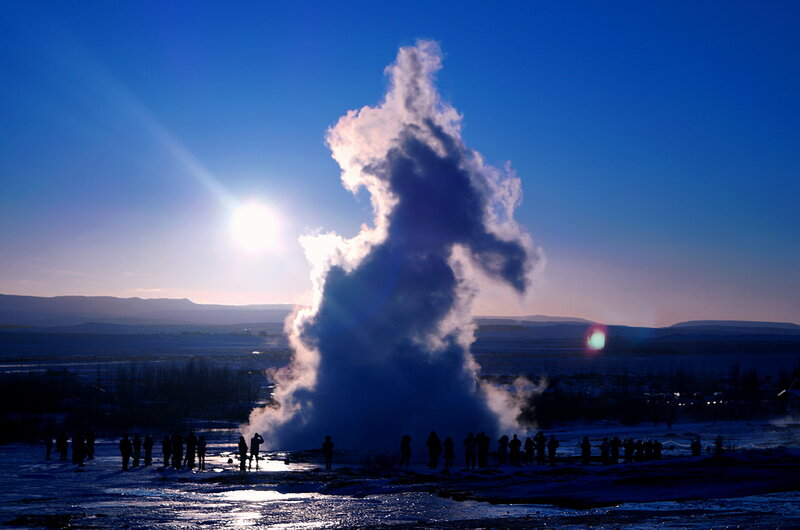 Posted in Iceland, nature, people, photography, travel, winterTagged Geysir, golden hour, Haukadalur valley, Iceland, nature, snow, Strokkur Geysir, sunlight, winterBookmark the permalink.